This ain’t no whale tale, this actually happened. A tour operator in P.E straight up almost got swallowed by a whale. Just let that sink in for a minute…A WHALE! Can you imagine ending up in something elses stomach, surrounded in juices of half dissolved sards. How one of these overgrown and swollen water cows haven’t snacked a diver yet is actually crazy! 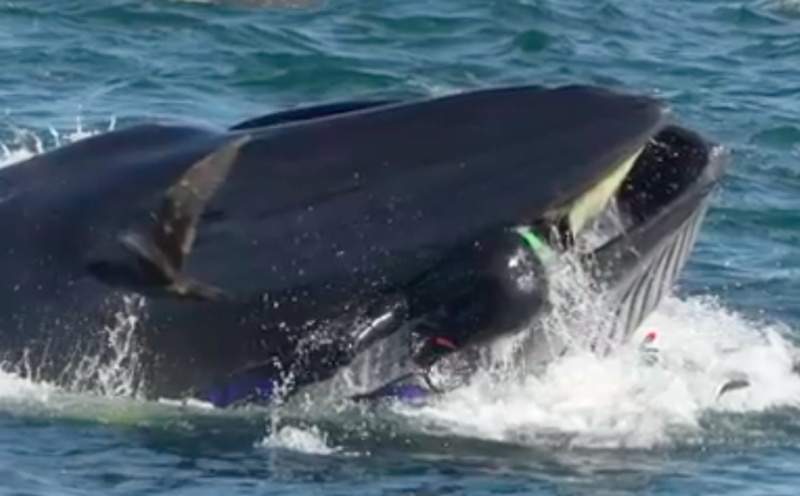 So 51-year-old Rainer Schimpf, who takes tourists whale watching in Algoa Bay, was filmed with his legs hanging out of a Bryde’s whale’s mouth. “It happened extremely fast, from an observer, I suddenly became an inside man, inside a whale. It gave me a great connection to the whale which I don’t think anyone else had had before. I now have inside knowledge of a whale which nobody else has.” – Rainer Schimpf.